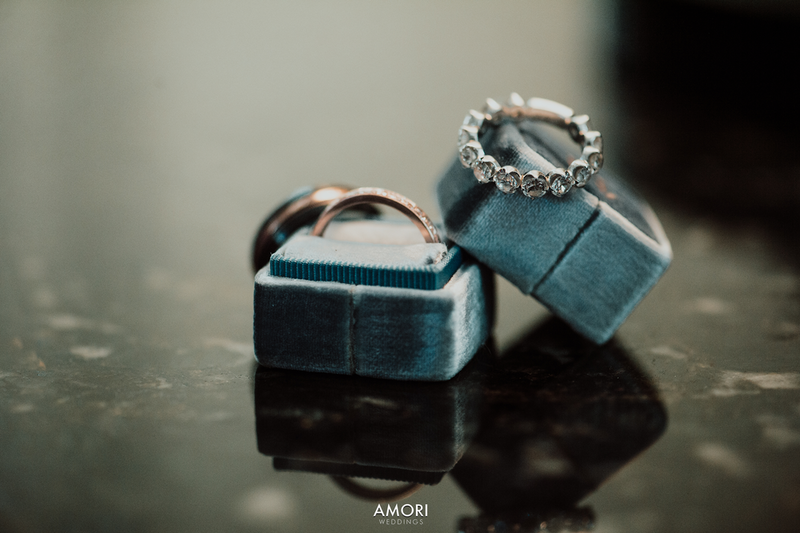 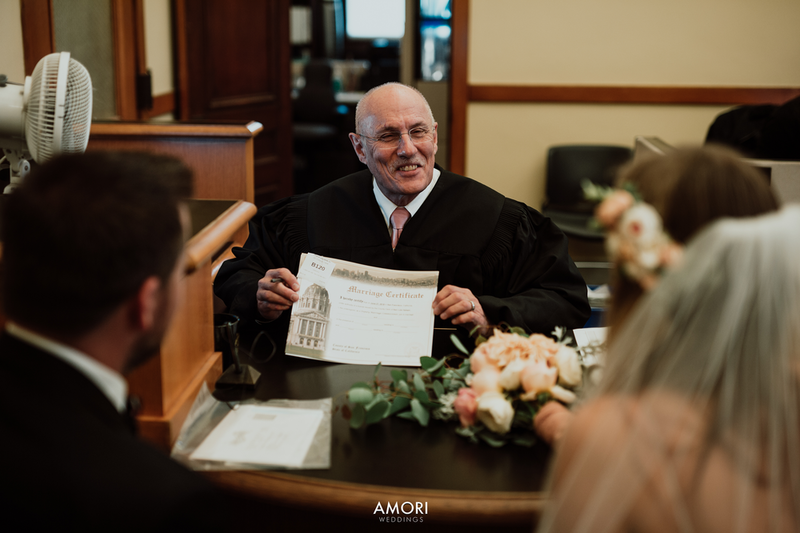 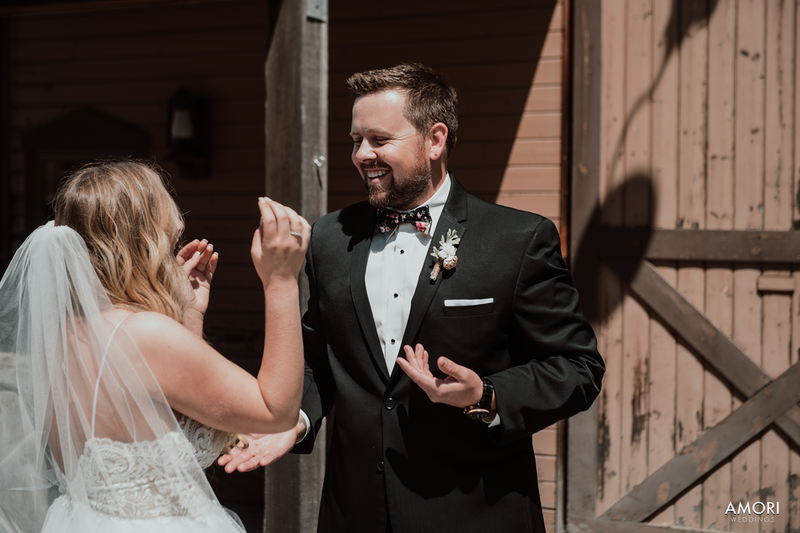 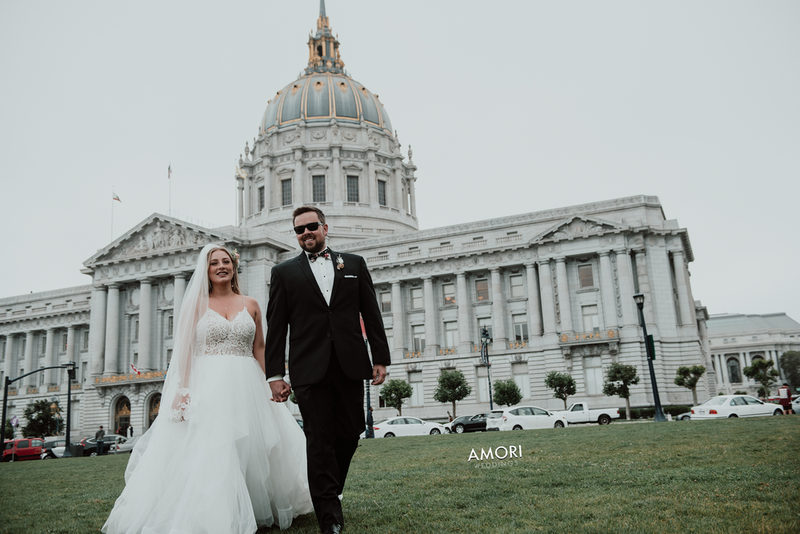 Amy and Tommy originally booked Amori Weddings for their backyard farm-animal themed wedding which was to take place amongst over 250 of their closest friends and family members. 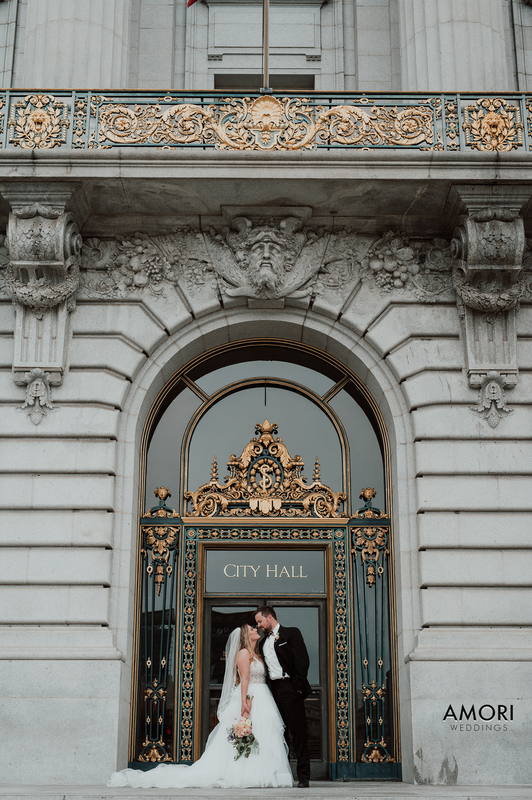 Unfortunately due to a series of unexpected events that resulted in a majority of their wedding budget being reallocated to medical bills for their farm animals, they had called off their big celebration and put new plans into place for a more intimate, low key, elopement style wedding in San Francisco at the City Hall. 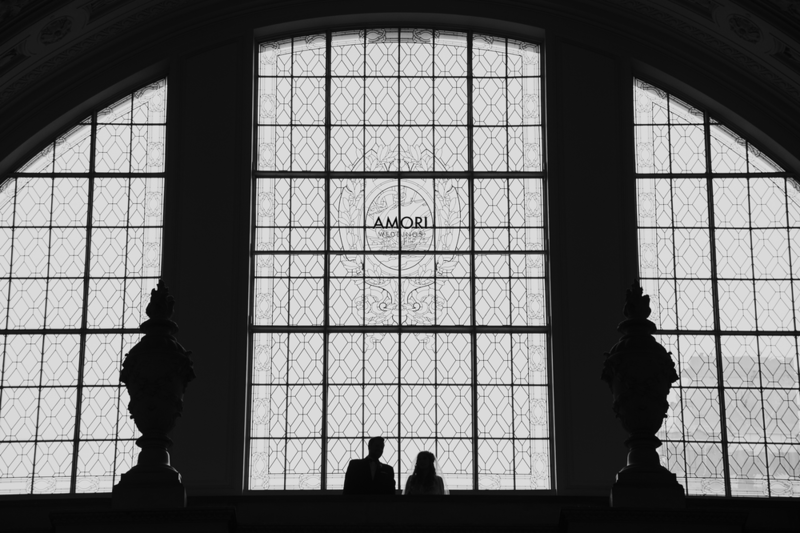 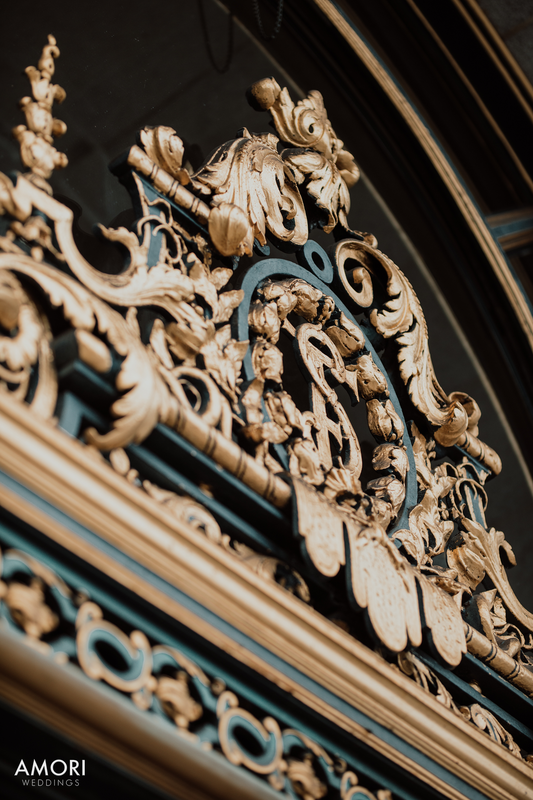 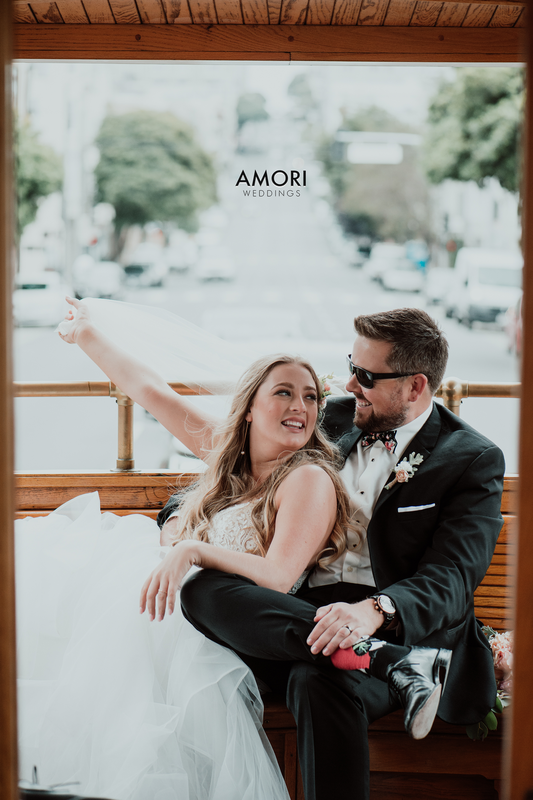 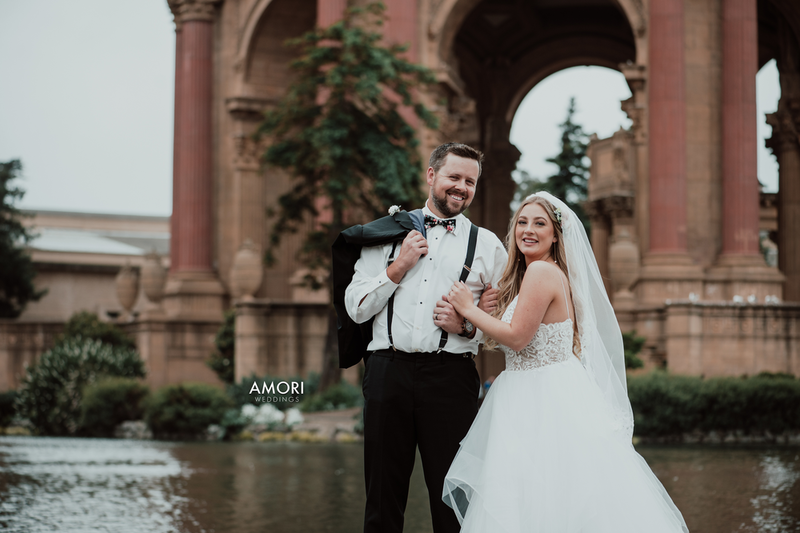 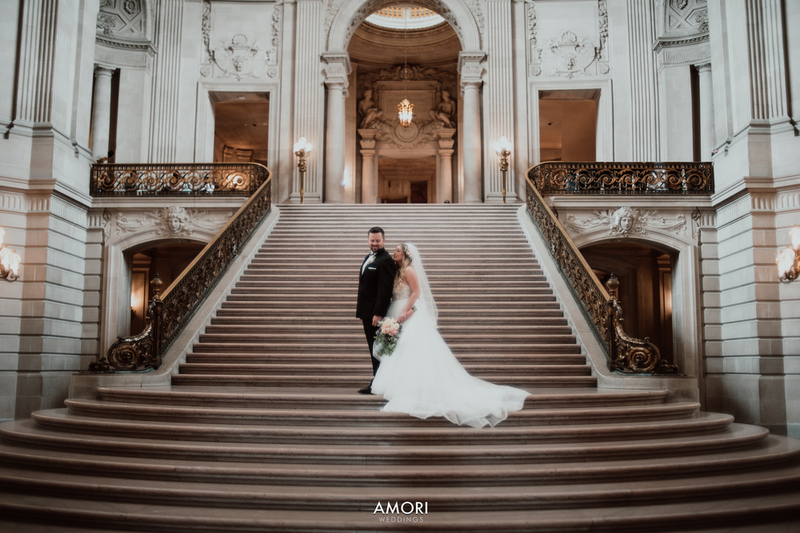 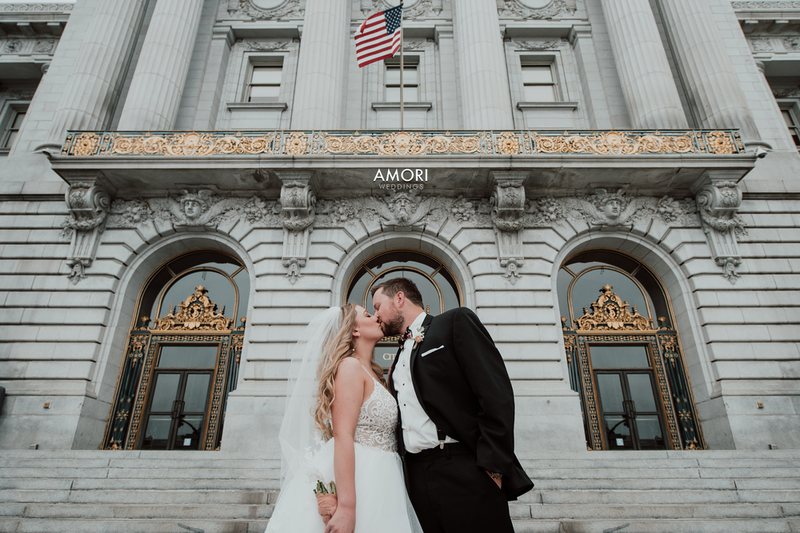 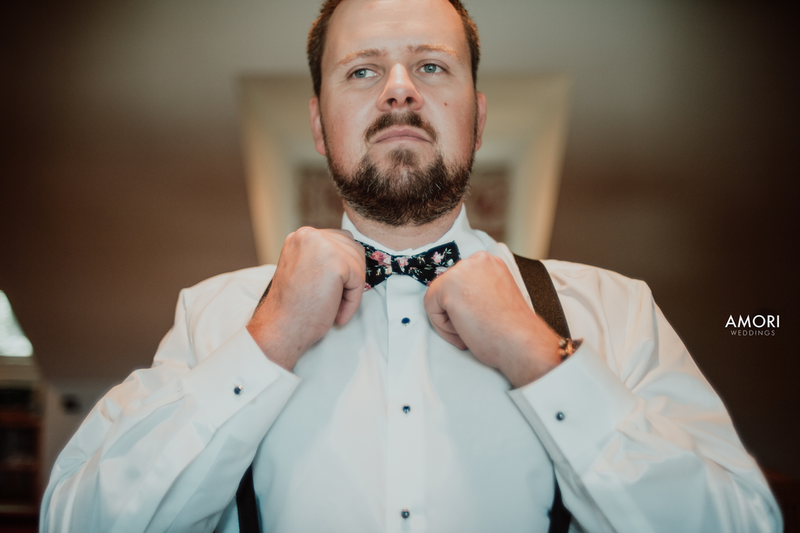 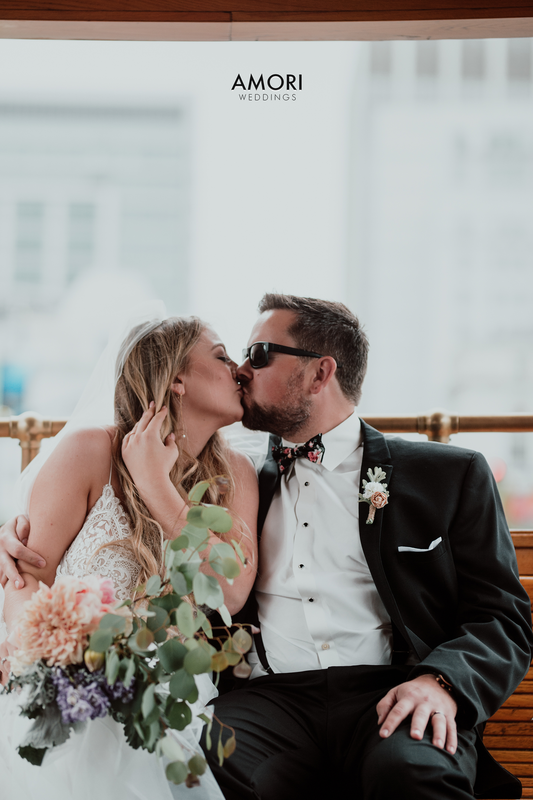 After speaking with Amy and Tommy regarding their change of plans, I knew that there wasn't anyone better to adapt with the change in flow than myself, so I did my research on beautiful landmarks for San Francisco wedding photography and before I knew it a completely different wedding was planned. 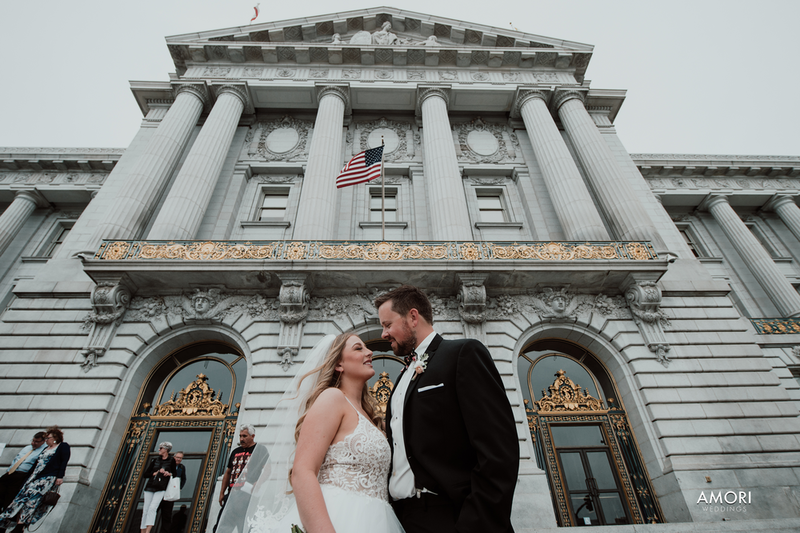 Despite my flight from LAX being cancelled 8 hours before my 6am departure, and despite not having visited or photographed San Francisco in over 10 years, I focused my creativity and confidence on beautifully capturing the most unique and artistic wedding ever, and I feel satisfied with how the final product turned out! 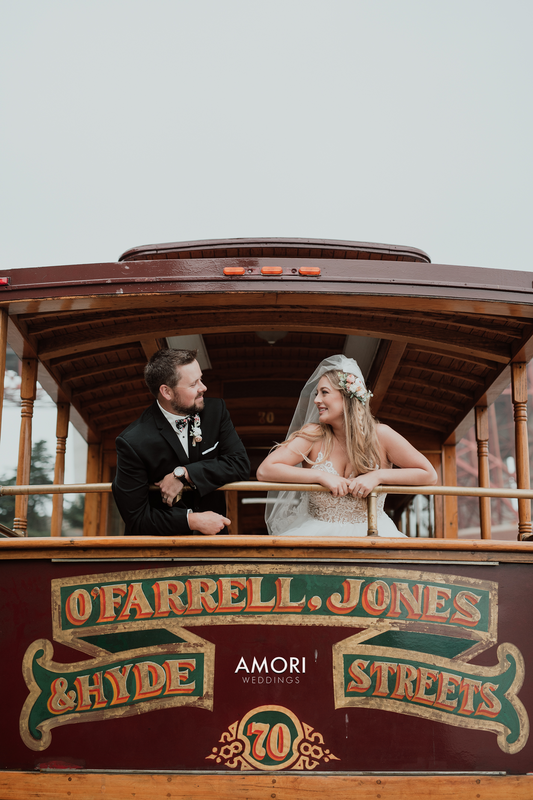 As always, I offer "Zero Travel and Lodging Fees," so I'm "Local to the World." 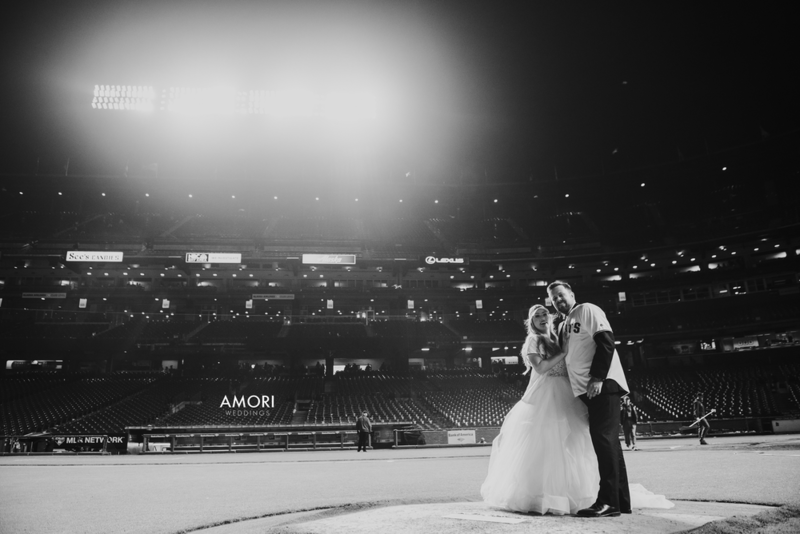 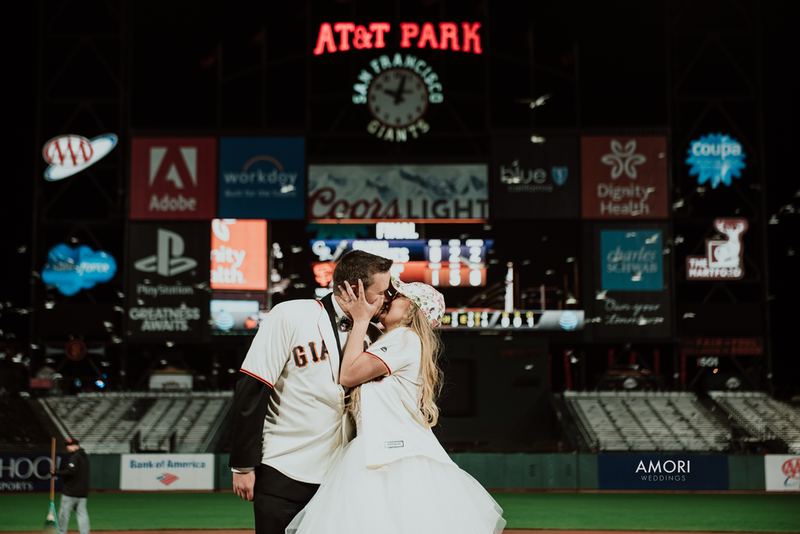 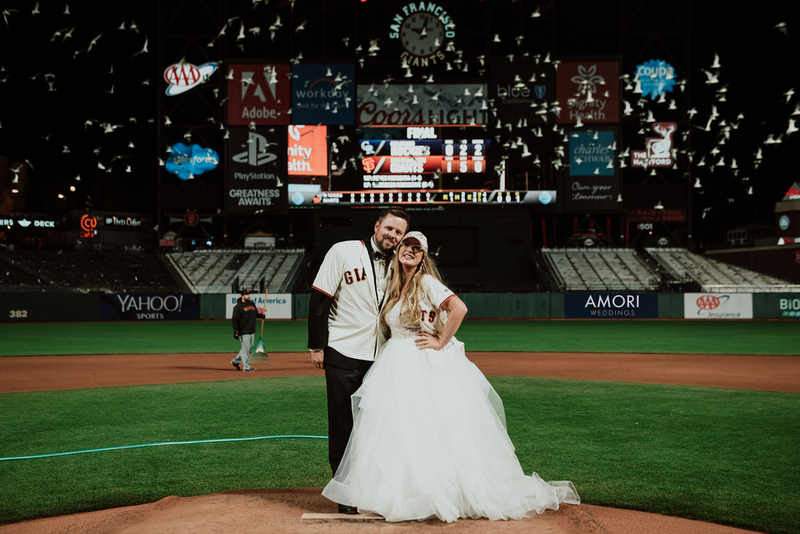 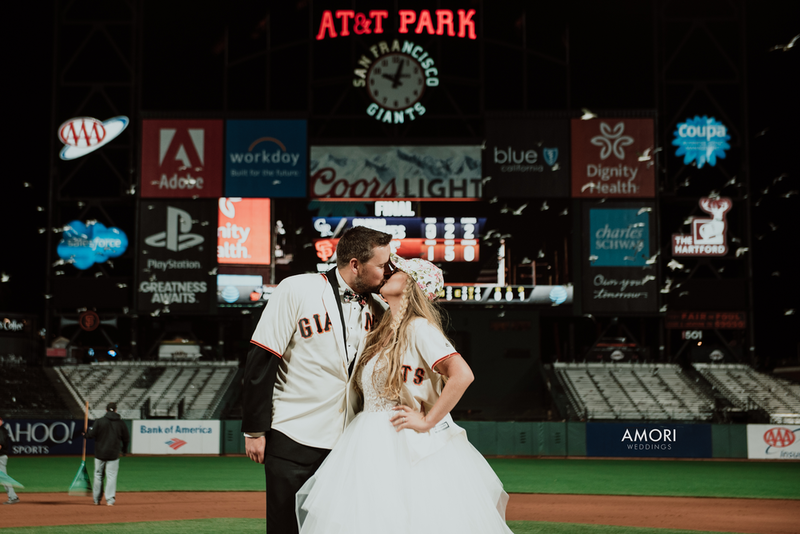 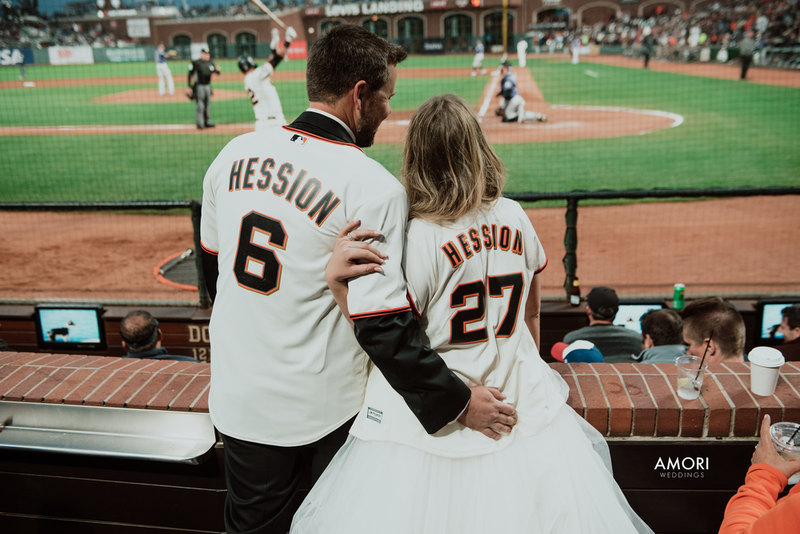 This was my first San Francisco themed elopement / wedding, and between the farm-style getting ready and first look, and the insanely epic San Francisco Giants Baseball stadium ending with Amy in her wedding dress on home plate, I am proud to say that this was the most unique, exciting, and creative weddings that I've photographed to date!